S&P Global Portfolio Manager Erin Gibbs says companies with high exposures to any type of tariffs are impacted by this week’s market selloff. Equity investors rocked by days of volatility are saying good riddance to the week on Friday in what was another stomach-churning session. The month of December is now off to its worst start since 2008, as tracked by our partners at Dow Jones Market Data Group. 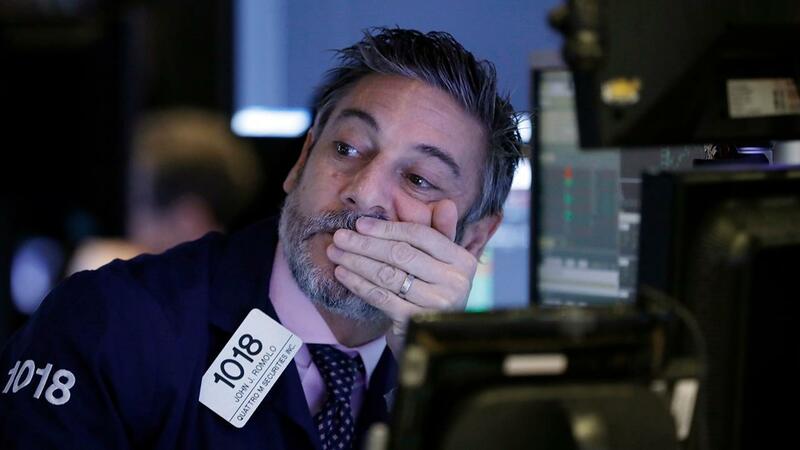 The Dow Jones Industrial Average finished the final day of the week down 558 points or over 2 percent, curbing losses that were well over 600 points intraday. The S&P 500 sank 2 percent and the Nasdaq Composite 3 percent as large cap tech names including Apple and IBM weighed on the Dow. For the week, all three of the broader U.S. averages lost 4 percent amid significant point declines. “This market volatility is all about trade” Robert Wolf, former chairman and CEO UBS Americas, told FOX Business on Friday. Wolf noted that a steady stream of comments this week on trade from President Trump and his top advisors, including Peter Navarro, are adding to the market’s volatility. As the U.S.-China work on their ‘trade truce’ another cloud worried investors and that was the arrest in Vancouver of Huawei’s CFO Meng Wanzhou. She was arrested this week as part of a U.S. investigation into the company&apos;s alleged evasion of American sanctions against Iran. The Justice Department is seeking her extradition to the United States. Navarro told FOX Business while the DOJ is the lead, the U.S. remains engaged in the broader trade discussions. Wanzhou appeared in a Canadian court on Friday at a bail hearing. On the economic front, the November jobs report was softer than expected. The Labor Department said American employers created 155,000 jobs last month, less than the 200,000 Wall Street analysts expected. The November jobs report also found that the unemployment rate is still 3.7 -- its lowest level in nearly half a century -- and that wages edged slightly higher last month. The smaller-than-expected number could influence the Federal Reserve to pause its interest rate hikes. Such recent increases, including one expected this month, have spooked stock investors lately and drawn fire from President Trump. Policymakers are widely expected to institute their fourth rate hike of 2018 at the conclusion of their two-day meeting on December 19. Next year, the Fed has indicated three hikes are on the table, although that is subject to change. In commodities, Oil prices jumped to the $52 per barrel level after OPEC agreed to cut production by 1.2 percent. FOX Business’ Mike Obel contributed to this report.